Evian ®Natural Mineral Water’s journey starts as rain and snow high atop the French Alps after which it filters for over 15 years through glacial rock and sand to a deep underground catchment just outside the town of Evian-Les-Bains, France. 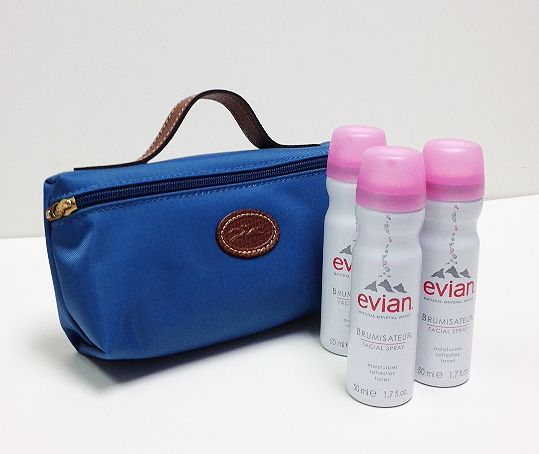 Evian Facial Spray was originally introduced in France in 1962 at the request of doctors for use on burn patients. It was the first facial water spray in France and was introduced as the first facial spray in the United States in 1978. 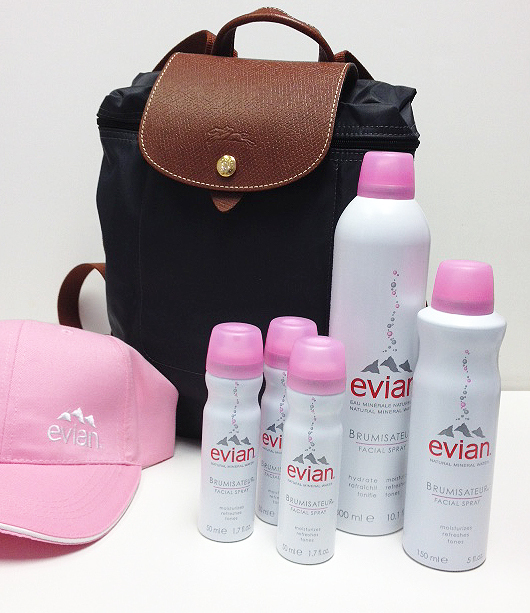 With 37 years efforts of the USA exclusive distributor (The Wilkes Group Inc. in Old Lyme, CT), Evian is the only facial spray to be carried by many prestige retail groups including Nordstrom and Sephora. Three runners-up will receive a Longchamp Pochette toiletries case, with embossed leather trim in durable, water-resistant nylon, accented with goldtone hardware, which retails at $50, and filled with a trio of travel size evian sprays (over $70.00 total value). If the form does not load, you can enter the giveaway >>here<<.